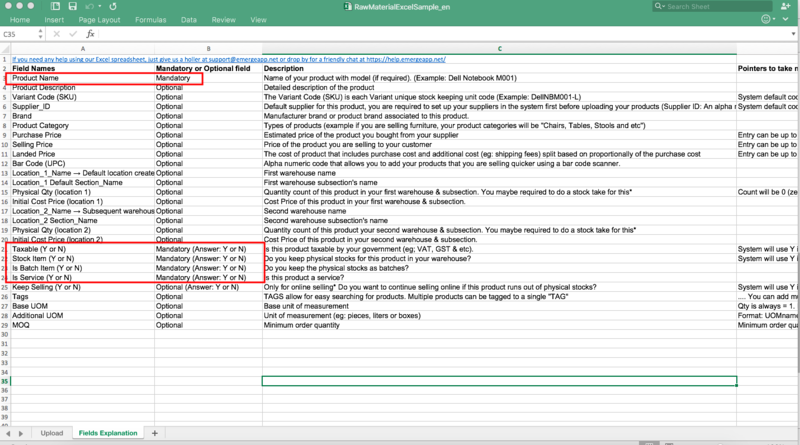 To upload your raw materials, go to Products > Raw Materials > RAW MATERIAL ACTIONS > Import Raw Material. 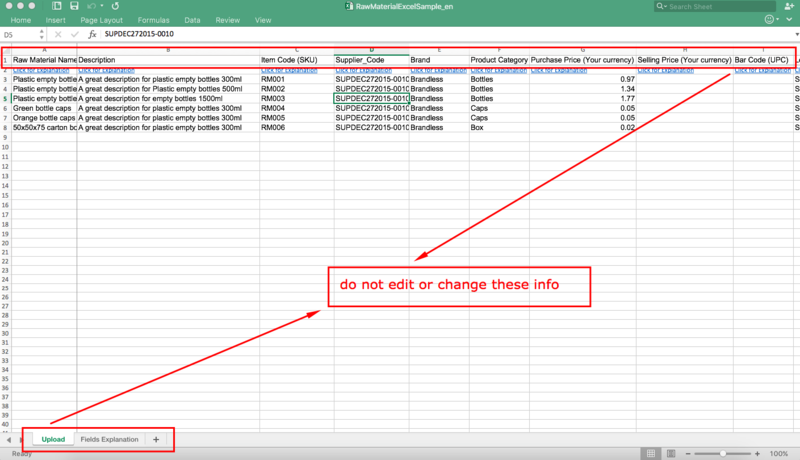 Input your raw material info into their respective fields, DO NOT create a new file or edit or delete the original fields/tabs, you raw materials will not be successfully uploaded if the default format is changed anyhow. Check Fields Explanation sheet to know about the fields. Your raw material is ready, if you have problem uploading, please contact us via live chat support for assistance.